Ready to get your mind blown? 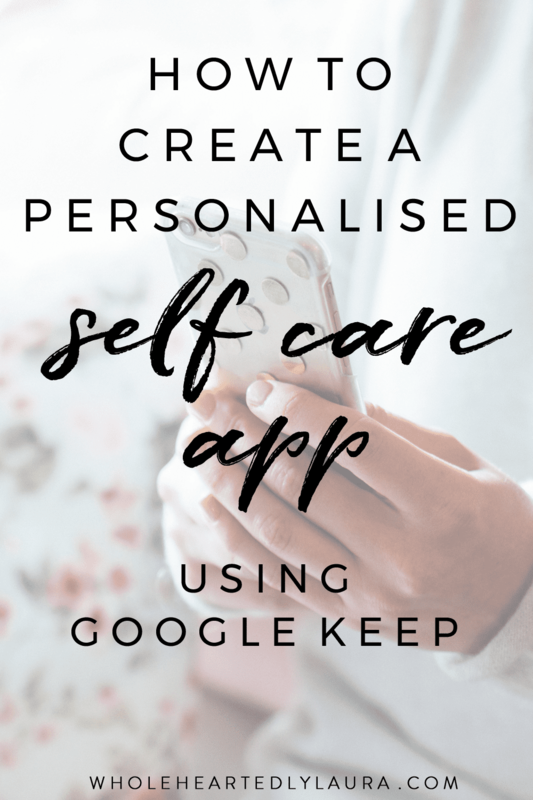 I’m going to show you how to use Google Keep, a free app, to create your own personalised self care app! Before I get into it, this is probably one for my fellow techies, if you’re more of a pen and paper kinda gal and that’s working for you, then stick with it. But if you like using apps and will be on your phone anyways (because as much as you try you still like using your phone for things!) then this could be fabulous for you. 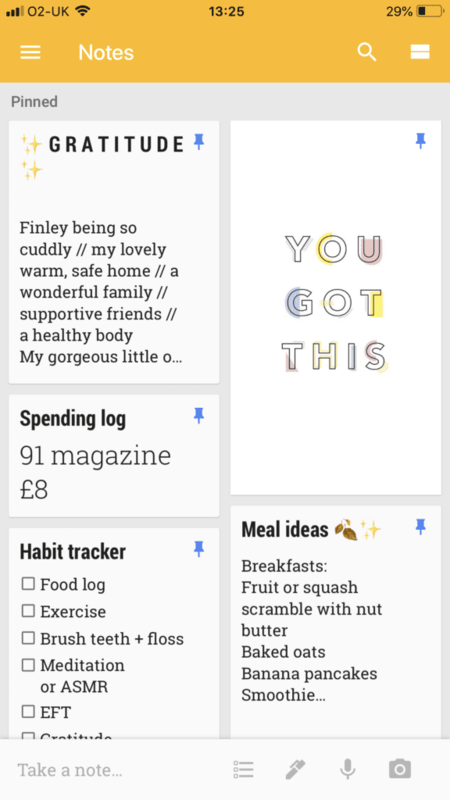 I discovered this by accident, I had heard of Google Keep before and then I heard my friend Ruth from the Anti Hustle Project talk about how she uses it. I was wanting to get focused on my wellbeing intentions for Autumn that I set out using my Wholehearted Journal and I wanted something separate from my Google Docs to use just for those things I wanted to track. 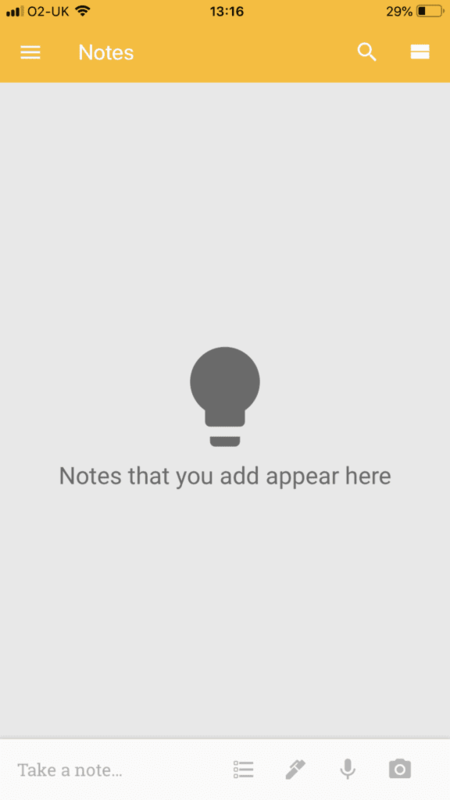 I tried Evernote but that didn’t quite work and that was when I thought about using Google Keep. And let me tell you it’s awesome and so customisable! So first of all go and download the Google Keep app from your app store. Once it’s installed you’ll need to sign in or create an account with Google. This is where the fun starts and this is where you can really customise this to give you what you need. I like adding emojis to make it pretty and you can even change the background colour of your notes as well. Any items you’d like to keep at the top of the app so you see them as soon as you open it can be ‘pinned’ (just click on the little pin inside the note). 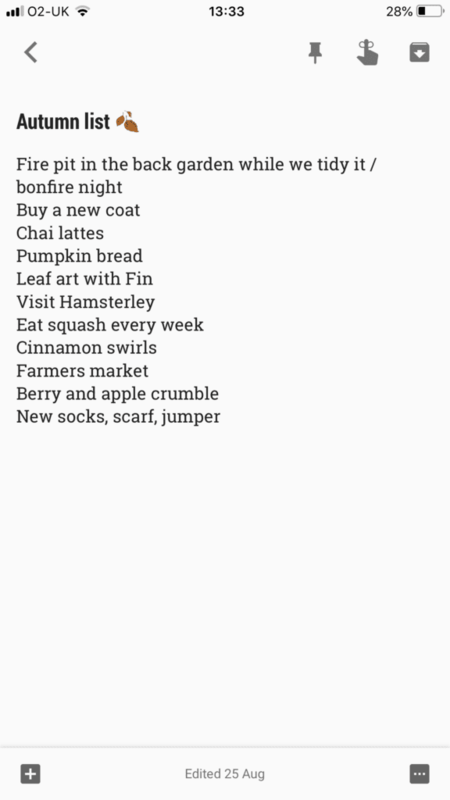 Lol’ing at the fact I wrote this on the 25th August – I really do look forward to autumn! What I love about this is the same thing I loved about bullet journalling – it’s an anchoring habit because if you can get the hang of checking into the app morning and evening for instance (let’s face it, when we would be on our phones anyways) then that’s just one habit you need to focus on – which in turn can help you stick to several more via the monitoring and intentionality the app helps you create. I’d love to know if you give this a try, let me know in the comments!